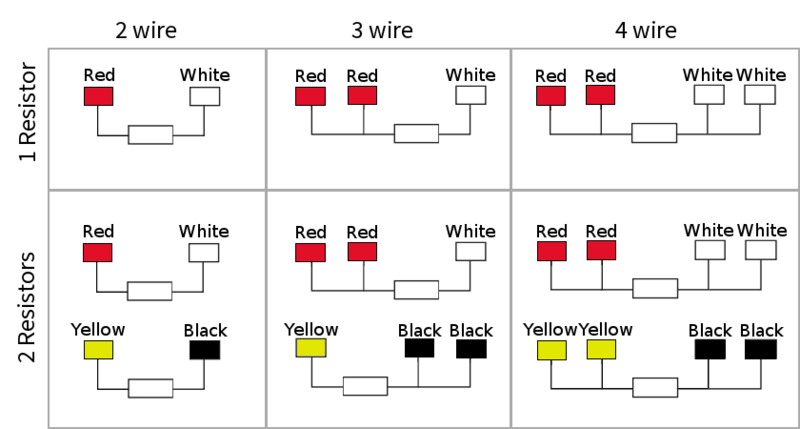 The following reference can be used to find the wire colours for RTD cable of different standards. The numbers state the core numbers of the cable. For example, In DEF colours a 4 core cable will have a red, blue, green and yellow cable.